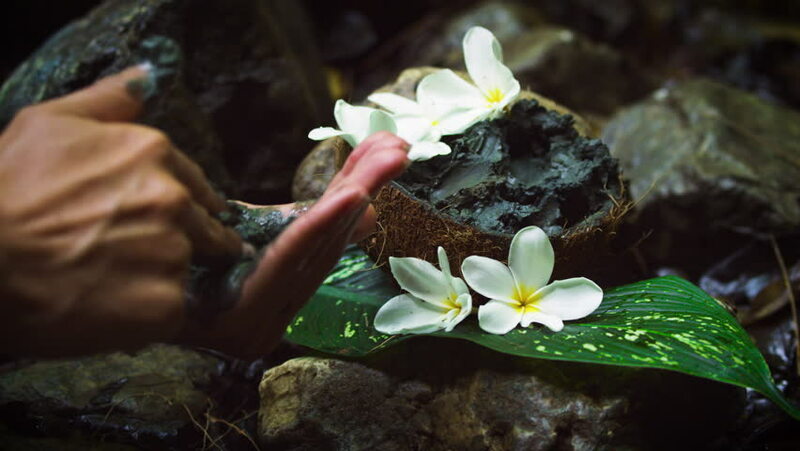 A beautiful cinematic dolly tracking shot of a woman mixing paste for facials and massages in the jungle spa in Costa Rica. Shot in 5K. 4k00:08HAWAIIAN VACATION COCKTAIL. A FRUITY COCKTAIL BUBBLES OVER WITH A DRY ICE-LIKE MIST. SITTING AMONGST LAVA ROCK, TIKI GODS, SEA SHELLS & PLUMERIA BLOSSOMS IN THIS OVERHEAD TRACKING SHOT. hd00:17Young woman hand takes the yellow frangipani flower underwater. hd00:29Mollusk walking on aloe vera leaf isolated, black background with frangipani plumeria tropical flower. Snail Serum moisturize cosmetic, beauty spa concept. macro closeup, soft focus. Mucus secretion. hd00:13TROPICAL COCKTAIL. BUBBLING, FRUITY LIBATION, IN A BAMBOO GLASS, SITS AMONGST, LAVA ROCK, SEA SHELLS, PLUMERIA BLOSSOMS & TIKI GODS. PANNING SHOT HIGHLIGHTS THE RED LIQUID & MIST. SHOT IN 4K.